I take walks daily. I have a goal I set for myself daily, and I've only missed my goal once this whole year. I'm pretty impressed with myself. I'm still getting points for walking, but mostly I just do it because I set a goal. A lot of my walking time is spent playing Pokémon, but a lot of it is spent brainstorming blog posts. Even when I'm relaxing, my brain is still thinking about work. So on my walk the other day, I picked up a really nice stick, then spent the rest of my walk trying to figure out what to do with it. 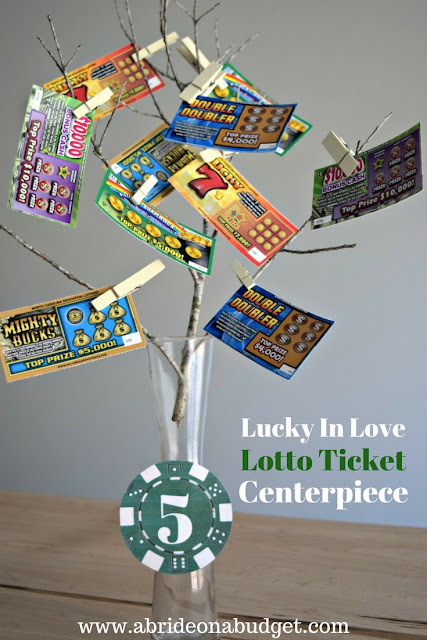 I would make a Lucky In Love Lotto Ticket Centerpiece. I absolutely loved the idea and was so excited to get home and put it together. Not excited enough to run the rest of my walk, but still, excited nonetheless. I'm lucky that the community next to me, where I walk, has really beautiful trees. The ones in my community are different, and the sticks are all brown. But the ones where I walk are partially white, so there's no need to dress them up. If you only have brown sticks, though, you might want to spray paint them if you're not a fan of brown. Print out the poker chip table numbers printable below. 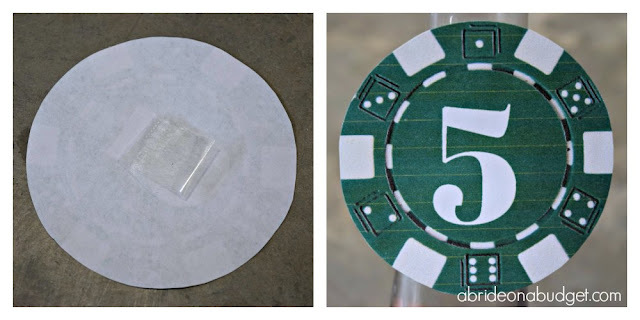 The printable is formatted to fit on an 8.5x11 sheet of paper, so you can print it at home. I would suggest printing it on card stock instead of plain printer paper to make it a little more sturdy. 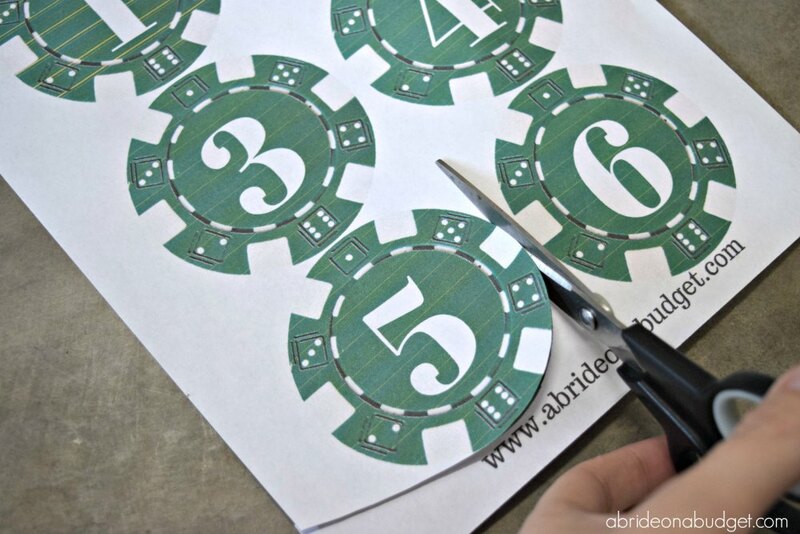 Cut out the poker chip table numbers. Tape each number to a small vase. 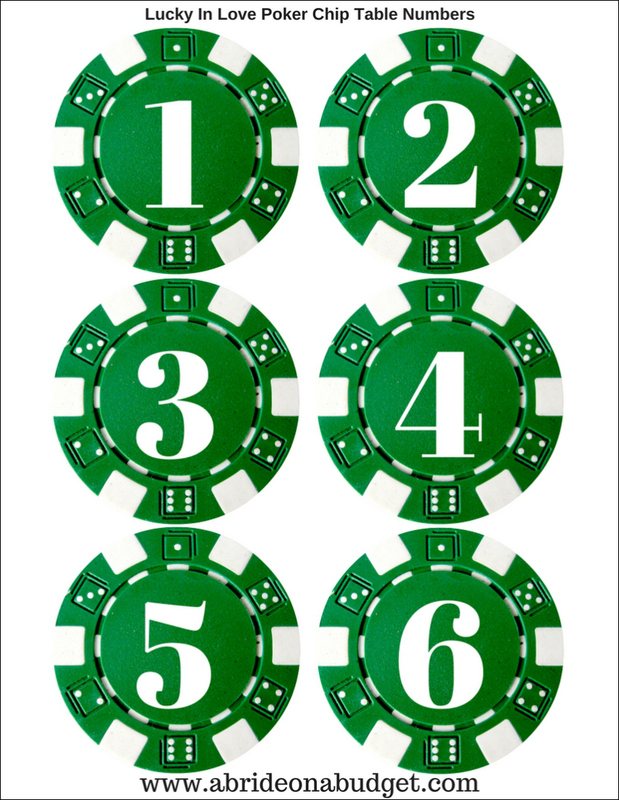 Now, I only made these in numbers 1 to 6 because that's all that fit on my sheet. 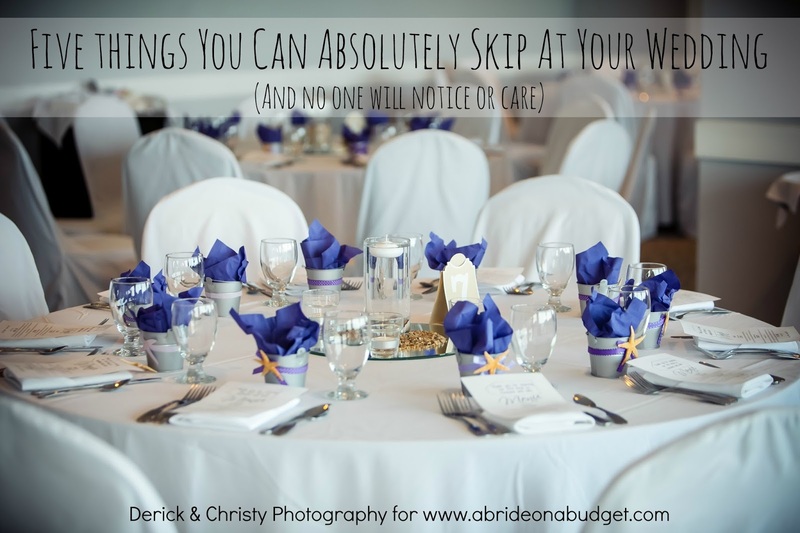 But, if you actually want to use these at your wedding and you have more than six tables, just shoot me a quick email and I'll create additional numbers for you. 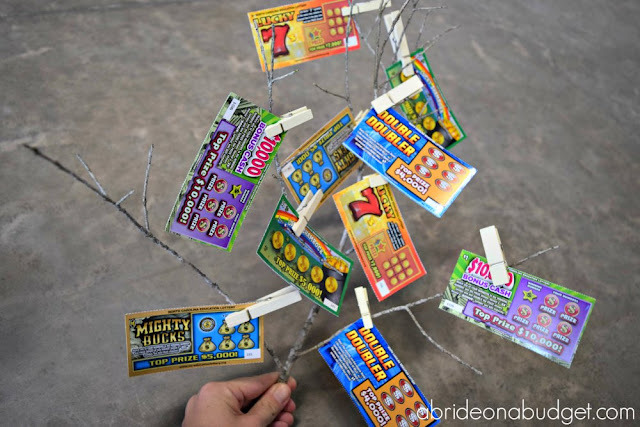 Use the clothespins to stick the lotto tickets on to the branches. Put the stick into the vase, and set it on your tables. If you want to dress up the table more, you could spread out a pack of playing cards or poker chips. 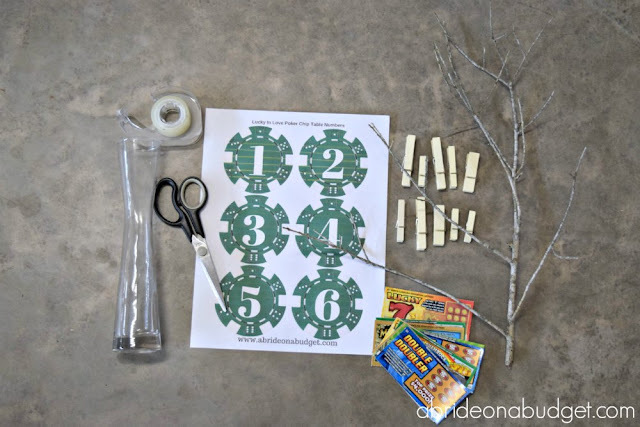 If you're going with this theme, you probably like to gamble and probably have cards and chips at home already (so free decorations!). 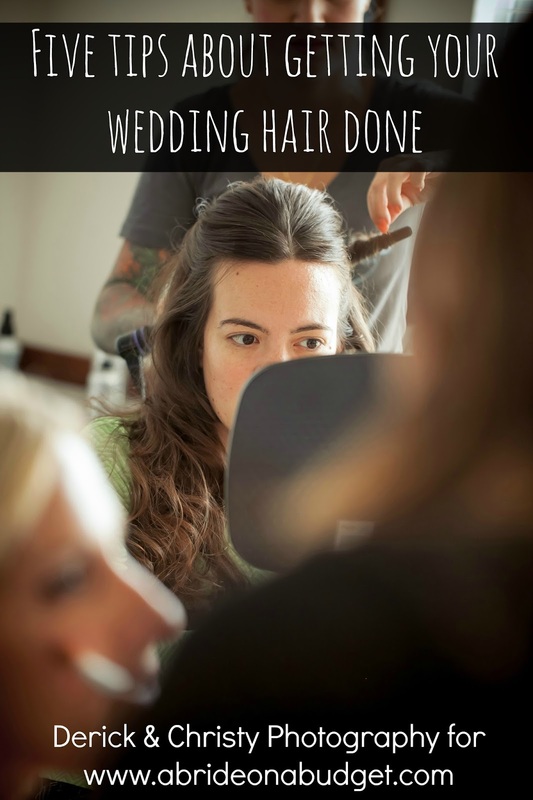 You could do something fun at your wedding with these too. On the back of one menu at each table, put a heart. Then, before dinner, have the DJ announce that whoever has the heart on their menu will get to take home the centerpiece at the end of the night. Who knows. Someone might get lucky on your wedding night! BRIDAL BABBLE: Would you make these Lucky In Love Lotto Ticket Centerpieces? 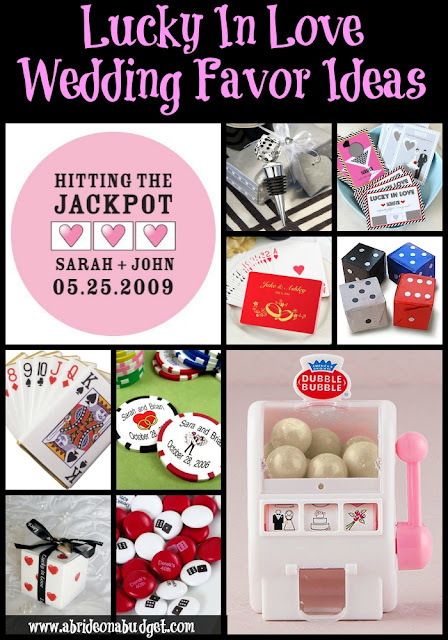 Check out our Lucky In Love wedding favor ideas. Wow this is very original! We have a few birthdays coming up and this is going to be a great centerpiece. Thank you for sharing with us this week at Celebrate Your Story, have a great weekend. 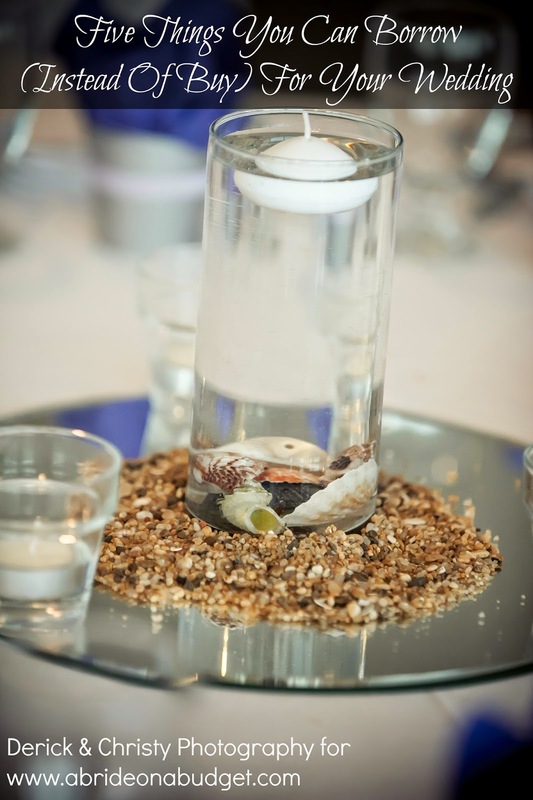 What a cute idea for a centerpiece. Lucky in love is a great wedding theme. Thanks for linking up at the #HomeMattersParty this week. I got married on 7/7/07 this would have been cute!! !